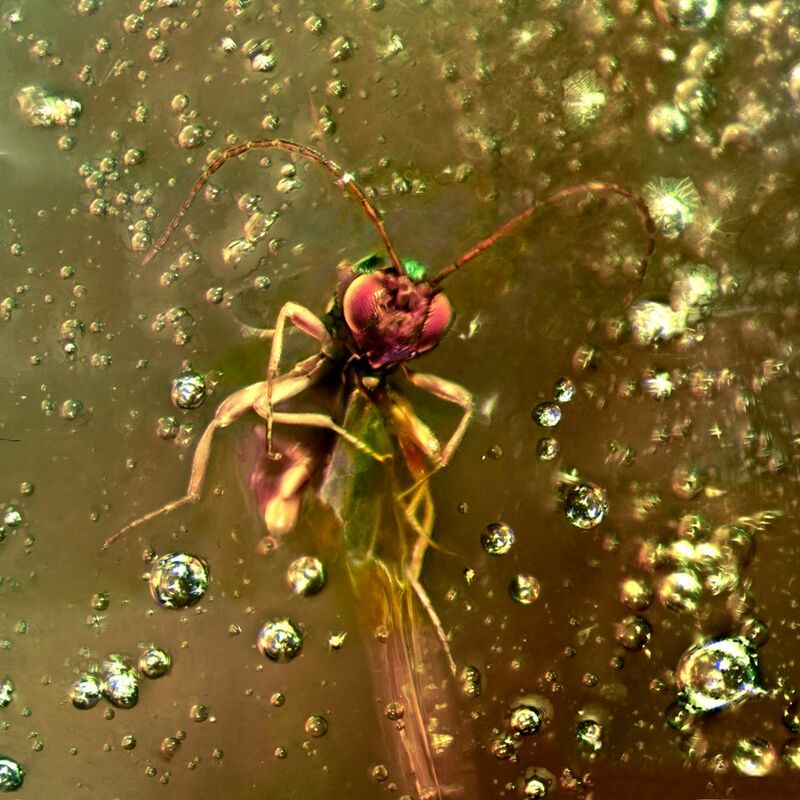 This is a photo-micrograph of a wasp in ancient amber, millions of years old. It is a composite of many dozens of photographs stitched together with a variety of imaging software. It is part of a series, all of them very large files, over 100mg. Date Uploaded: Nov. 4, 2011, 7:16 p.m.